About Us | TechLead Solutions Pvt. Ltd.
TechLead Solutions Pvt. 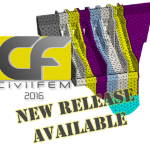 Ltd., are partners for Ingeciber, Spain for selling its flagship product CivilFEM for addressing complex FEA in the Civil Engineering field with just one software at academia and corporate. A company found by eminent Industrial and academic people, the mission is to create rigorous engineering culture, to nurture the young engineering talent pool and handle the challenges of the engineering outsourcing in the forthcoming years. The company plans in the long term to offer turn-key solutions and bridge gap between academia and industry practice. Highest level of Quality and integrity at all levels coupled with social responsibility would characterize our philosophy of work.